Mrs. LaVerne Todd Blankenship, a former resident of Sharpsburg, died Sunday morning, January 27 2019, in an Albany hospital. She was 86. Mrs. Blankenship was born June 1, 1932, in Meriwether County, daughter of the late Wooster and Doris Daniel Todd, and was reared in the Lone Oak Community. She retired from BellSouth after 40 years of service, was a member of the Telephone Pioneers, and was a member of Heatherwood Baptist Church in Newnan. She was currently living in Willowood Personal Care Home in Edison. 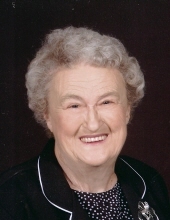 Preceded in death by her husband, John Blankenship; son, Ray Blankenship and his wife Becky; and grandson Todd Blankenship, she is survived by her sister, Lorraine Todd Durham and her husband Jack Durham of Ft. Gaines; two grandchildren; two great-grandchildren; and several nieces and nephews. The funeral service will be conducted at 11:00 a.m., Thursday, January 3l, in the Chapel of Claude A. McKibben and Sons Funeral Home in Hogansville. The Reverend Jim Spradlin will officiate and interment will be in Allen-Lee Memorial United Methodist Church Cemetery in Lone Oak. The family will receive friends at the funeral home from 6 until 8 Wednesday night. Memorial contributions may be made to Georgia Baptist Children's Home, P.O. Box 329, Palmetto, GA 30268-0329; Samaritan's Purse, P. O. Box 3000, Boone, N. C 28607-3000; or to the Lottie Moon Christmas Offering, %Bluffton Baptist Church, P. O. Box 336, Bluffton, GA 39824. To send flowers or a remembrance gift to the family of LaVerne Todd Blankenship, please visit our Tribute Store. "Email Address" would like to share the life celebration of LaVerne Todd Blankenship. Click on the "link" to go to share a favorite memory or leave a condolence message for the family.